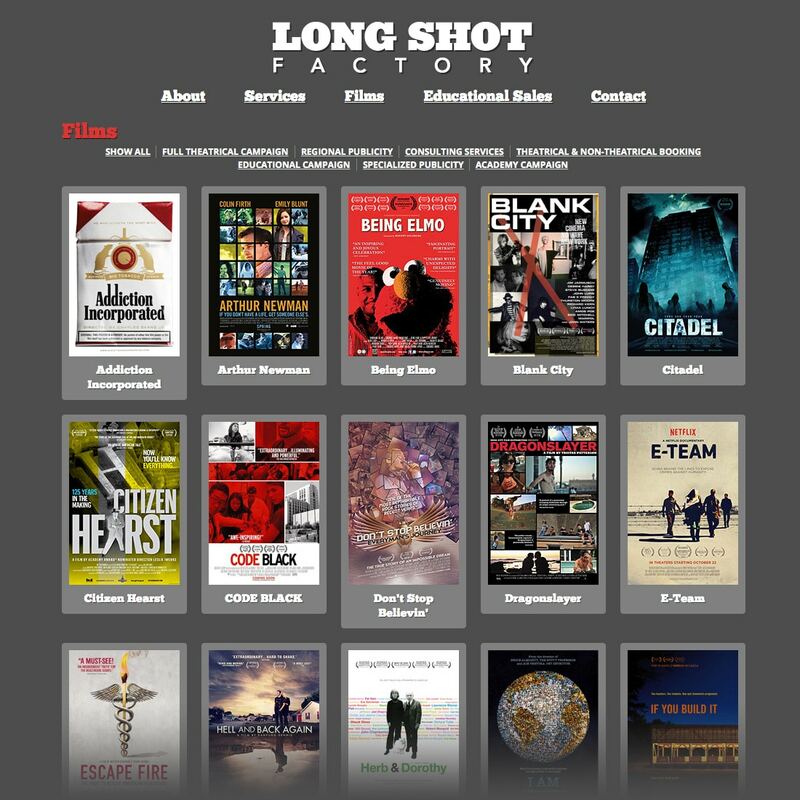 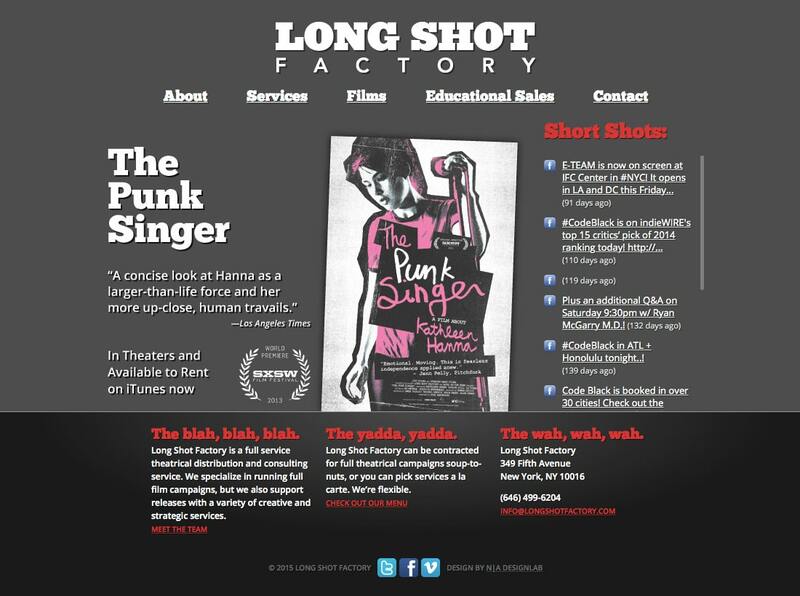 Long Shot Factory is a film production company that specializes in documentary films. 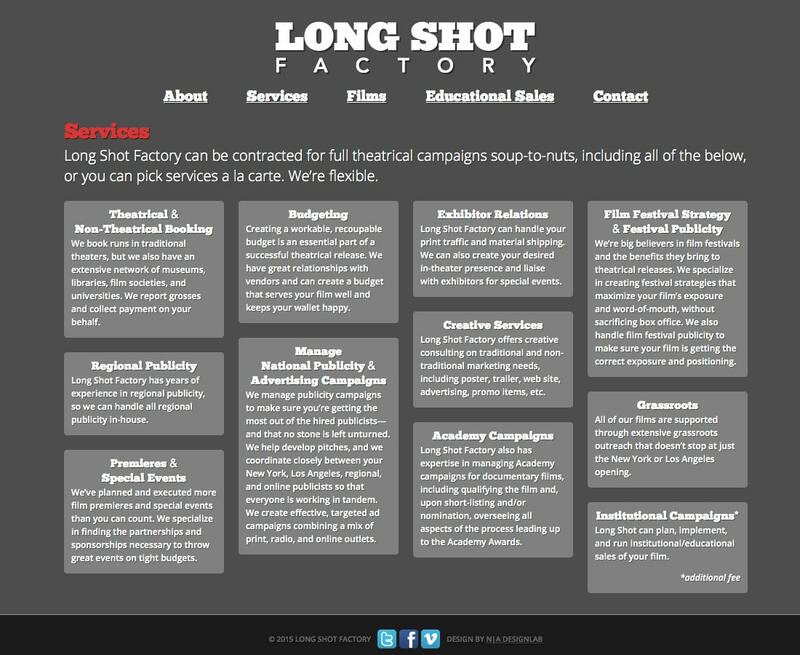 The site allows them to manage their portfolio of films and services, as well as to sell copies of the films they represent. 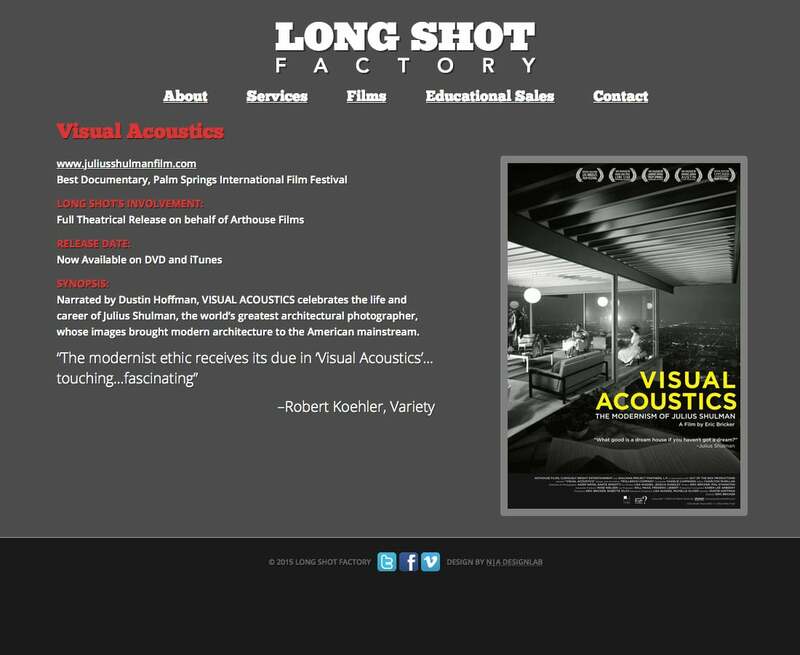 The site is built using WordPress and features custom tagging and filtering for the film portfolio.